There are many unique things about Image Skincare. Image is a cosmeceutical skincare range developed by a team of sophisticated chemists that utilise a wide range of active ingredients and the most scientifically advanced formulas in today’s marketplace to create pharmaceutical grade skincare products. These products give licensed physicians and Beauty Therapists the ability to offer professional treatments and products which yield unparalleled results. Image Skincare have a product for every skin type and skin concern, and boasts a superb line of professional peels and treatment options. We offer an entire range of peels (8 in total), from an organic fruit enzyme peel to a physician-only TCA Orange Peel. We offer simple treatment plans which are easy to educate and easy for our therapists to follow. The ability to conduct clinical trials under the supervision of board certified plastic surgeons in Europe gives us the advantage to integrate and utilise the latest new ingredients earlier and more successfully than other brands on the market. 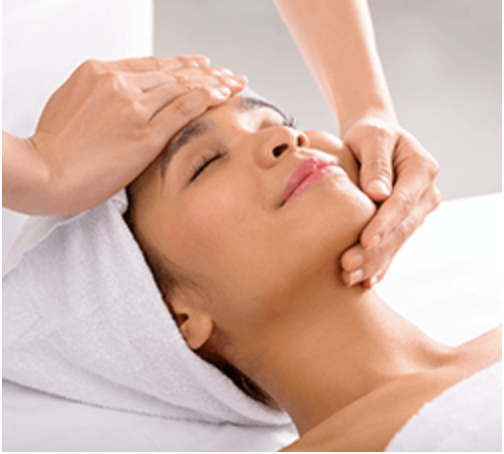 Selling to qualified Beauty Therapists and Cosmetic Physicians is a policy we strictly enforce. We do not allow our customers to sell over the internet. Our policies ensure your client or patient returns to you, the licensed practitioner, to receive products or treatments. Q: How do I know what products are the right ones for me? We have Image Skincare Educators in all states of Australia to ensure our salon partners are highly trained to recommend the correct routine for your skin type. To ensure you are prescribed the perfect skincare routine to obtain the skin you want, it is important to be evaluated by your highly trained Therapist or Cosmetic Physician. This is also one of the reasons Image do not sell online- we want all of our customers to be prescribed correctly and see fast results. Click here to find your closest salon. If you do not have a salon near you, please contact our head office on 1800 625 387. Our trained professionals will also be able to assist you over the phone. One of the Image Skincare benefits is that clients see immediate skin improvements using the correct homecare routine. Your therapist or cosmetic physician may recommend a series of clinical resurfacing treatments, depending on the severity of your concern. Since our products are so effective and consist of such concentrated amounts of active ingredients like AHA’s BHAs, Retinol, Vitamin C anti-oxidants, cell-stimulating ingredients, and protective properties, you will see a dramatic change within just a few days. In order to treat pigment disorders or the signs of aging, a longer treatment plan will be necessary to achieve a good result. Your therapist will discuss options for you in order to achieve the maximum benefit for your skin condition. Click here to see Clinical Studies. Peptides are chains of amino acids that communicate with skin cells, directing them to behave in a certain way such as producing more collagen. Different types of peptides influence different types of cells. Image Skincare is dedicated to offer safe products without the use of chemical preservatives like parabens. The use of parabens as preservatives in cosmetics is controversial. There are clinical studies suggesting that parabens have potential health risks, including oestrogen activity. The direct link between parabens and potential health risks like cancer, however, cannot be proven in humans so far. Image Skincare has not and will never test any products on animals. Newly formulated products undergo a thorough laboratory testing followed by field studies tested by humans, and all of our products consist of safe ingredients. In addition we replaced all chemical preservatives, like parabens, with natural and plant-derived preservatives. Chemical sun blocks contain ingredients which absorb harmful UV rays. This process takes place in the actual layers of the skin. Here, the chemical sunblock reacts with the harmful rays and transforms them into a different kind of energy, mostly heat. A physical sunblock works like a shield to reflect the actual UV rays, keeping them from penetrating the layers of the skin. Examples are Zinc oxide and Titanium Dioxide. Image does NOT use nano technology in its formulations. Image provides a wide range of choice with our Prevention + moisturisers some being purely physical while others are a combination of both physical and chemical. In order for a sunblock to be effective, it needs to offer broad spectrum UVA/UVB sun protection, like all of our Prevention + products. In addition to providing the best protection, all of our Prevention + products are also moisturisers which can be used daily even if you are not exposed to the sun. If you have never used a professional skin treatment protocol, you might experience some sort of mild redness, dryness, or flakiness after a couple of days using some products in our Ageless and Clear Cell line. These are two of our most potent lines which effectively treat the signs of aging, pigmentation and acne through the use of AHA/BHAs and retinols. In the beginning your cells will speed up their cellular turnover; dead skin cells will be exfoliated and your skin will look fresher, younger and firmer. These effects are perfectly normal and are part of your skin renewal process. To ease these signs you will be recommend to use some of the orange Vital C or silver Stem Cell products alternating with the Ageless and Clear Cell lines. If using the Ageless repair crème, we recommend that you only use it every other night in the beginning, then slowly build up to every night after the second week. If you experience redness or dryness please consult with your therapist or call our customer care department. Q: I love the new OrMedic line! Is your product certified organic? Our OrMedic™ line is an absolute hit in the marketplace! The OrMedic™ skincare line is a synthesis of the purest organic ingredients combined with highly effective ingredients to achieve clinically proven results. It balances the skin’s health with organic ingredients, highly potent anti-oxidants and essential botanicals without the use of chemicals, acids or parabens. In order to be a certified organic product, more than 95% of the ingredients have to be certified organic. Our OrMedic™ line also incorporates other ingredients besides its organic content to achieve its desired result. For example, we are also using the latest peptide technology in our OrMedic™ products as well as highly potent free radical scavengers, which are not available as organic products. If you would like to find out more information about any of our products, or if you would like to discuss the opportunity to stock Image, please call 1800 625 387 to speak with one of our Image Skincare consultants or alternatively click here to email us your details and we will contact you. Q: I am a spa owner and currently carry other lines. I would also like to carry Image Skincare. Do you have a minimum order or can you help me somehow? The first step would be to call your customer care team on 1800 625 387 or click here and we will set up a personal consultation with one of our local Image Skincare Specialists. We have very low cost opening orders with great savings, however if these are not suitable to your needs, we are also happy to work with you to customise an option that will work for your business. We want to help you sell Image Skincare successfully! Q: As a Beauty Therapist I would sometimes like to have more support from my skincare line. Can you help me if I have a problem with one of my clients? Once you become a stockist of Image you will be assigned an Image Skincare specialist to train you and your team. They will arrange regular visits to ensure you are kept up to date and will also be available for you to call if you have a product question or have a question regarding one of your clients. We pride ourselves on providing outstanding training, both initially and ongoing.